Looking for an awesome environment to facilitate your growth in the HVAC industry? We are always looking for skilled technicians and service advisors ready to learn and join our team! Join our team and serve your community today! 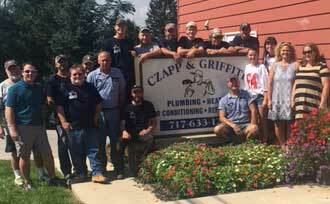 Why Choose Czapp & Griffith? Lead HVAC installer with minimum 5 years experience. Must be capable of running & being responsible for residential & light commercial projects including retrofit, replacement and new construction. Top wages & benefits and immediate opening for qualified individual. Send resume to service@czappgriffith.net or fax to 717-630-9973.